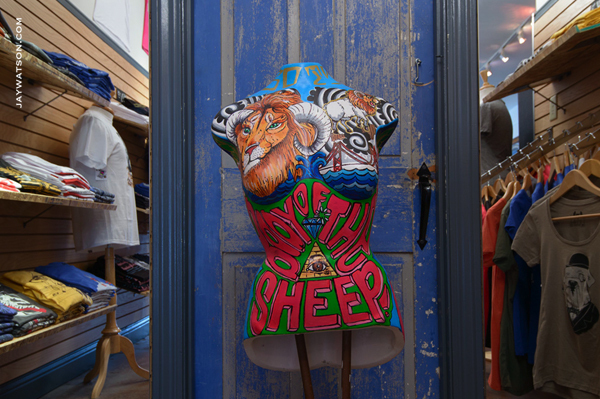 Just completed this layout and website design for The Body of the Sheep on Haight Street in San Franicsco. 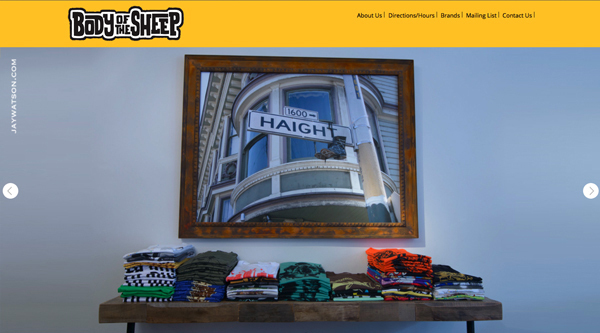 Cool t shirt joint a few doors down for the Sockshop on Haight. Logo Design by Jimbo Phillips. Photography by Jay Watson. We did a full day of shooting in SF in two of the Sockshop stores Socks on Haight and then across the bridge to shoot the Sockshop on Telegraph store in Berkeley. Talent: Photography Jay Watson, Angela Stucky coding and assistant on shoot day.